*Walker Twister: Movies with a Twist*: Friday the 13th! In 1957 a young boy named Jerkson Voorhees attends a summer camp by the name of Camp Walker Lake. 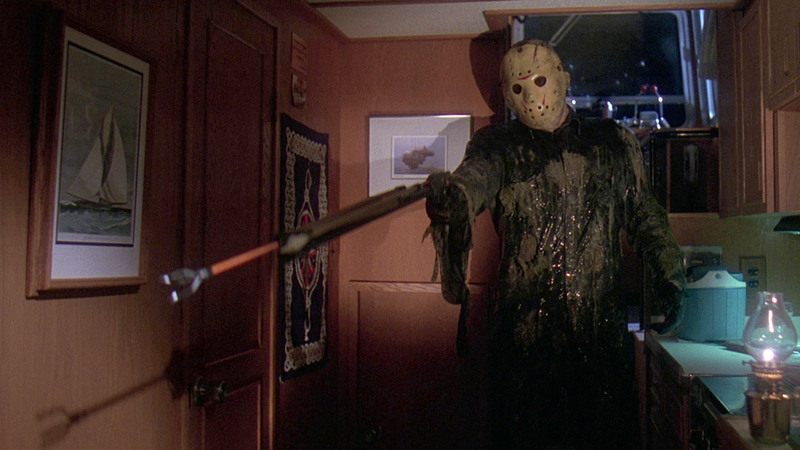 During his stay he ends up drowning in the lake near a boating dock while the other camping children mock and make fun of him for being a walker. The counselors who were supposed to be watching the children were busy hooking up while this was happening. Years later a killer appears at the camp, or is it that someone has returned for revenge and to fill his walker belly with the survivors? Months after Acide beheaded psycho killer/mother/walker Palmeater Voorhees at Camp Walker Lake, survivor Acide is still traumatized because of the murders. But there is one problem. Mrs. Voorhee's son Jerkson never drowned and died.So he saw Acide behead Mrs. Voorhees. Jerkson finds Acide soon and murders her. Five years later a camp counselor in training program begins at Campsnack Lodge. Right near Jerkson's home.Camp Walker Lake. As teenagers in the program start snooping around Camp Walker Lake, they start getting killed violently one by one and eaten like the walkers do. 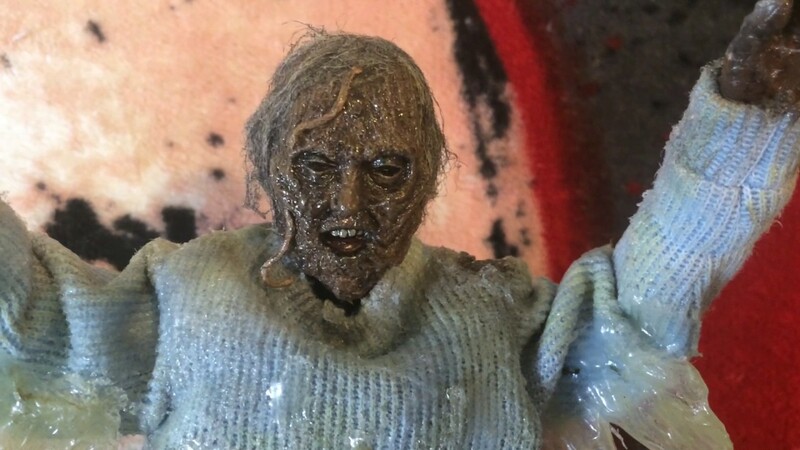 Jerkson Voorhees goes to a roadside store where he gets a new set of clothes, and stalks a married couple for a quick bite. Meanwhile, Chrunch Hellions and her friends make their way to her family cabin, Hellion Haven. But this time, Jerkson, with his new famous hockey mask thats covered in blood will not let the teenagers have fun. Once again, he starts in a killing spree and a nice long dinner with them on the menu. After the confrontation with Chrunch Hellions, Jerkson Voorhees presumed dead, is taken to the Walker County Morgue. There he escapes killing an attendant and a nurse and eating them all up, making his way back to Camp Walker Lake. Six teenagers rent a cabin next to the Blooders' cabin in Camp Walker Lake. Soon Jerkson finds his way to eliminate and kill all who trespasses his way, but not for long. There are two survivors left, a girl and her little brother, Tummy Blooders. The final battle will define their destiny, be prepared for the Final Chapter… with all its blood and glory. Five years after killing the walker goalie hockey-masked killer Jerkson Voorhees, Tummy blooders has grown up in various mental hospitals unable to get over the nightmares about Jerkson's return. When Tummy is sent to a rural halfway house in New Jersey for mentally disturbed walker teenagers, a series of grisly murders begin anew as another Walker hockey-masked killer begins killing off all people at and around the residence. Has Jerkson returned from the dead to re-start his killing spree? Has Tummy decided to take over the reign of Jerkson, or has someone else? Tummy Blooders returns to the graveyard to make sure Jerkson Voorhees is dead and accidentally brings him back to life. Now it's up to Tummy to stop Jerkson's mindless killing and put him back where he belongs. Teetha Sheeather is a special walker girl. She has the gift of telekinesis (which allows her to manipulate objects by thought to her mouth and eat them). But her gift is also a curse, mainly because she caused the death of her father on the docks of Camp Walker Lake. Now, Teetha has returned home with her caring walker mother and her conniving and crazy doctor, who wants to exploit Teetha's powers and become famous through the apocalypse world. 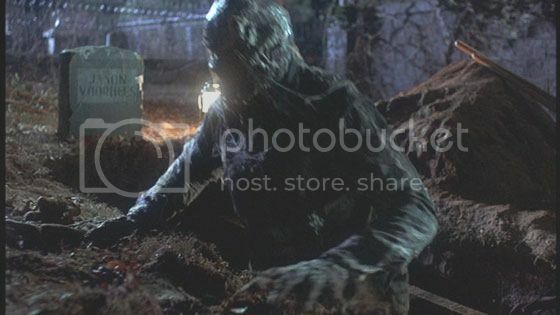 But the walker teenage residents of Camp Walker Lake have something more to fear than Teetha's powers as she accidentally frees Jerkson Voorhees from his watery grave. And Jerkson is really in the mood for a good old teenage massacre and a meal of eating them up. The graduating class of the local high school is going on a luxury cruise with Jerkson Voorhees as a stowaway. The heroine Rotten Weeper believes she was almost drowned by Jerkson as a child. Jerkson eventually sinks the boat and kills many of the students on it, but many of them escape to Manhattan. A long battle with Jerkson ensues until Jerkson is washed away in the New York sewers by a midnight flooding of toxic waste and blood and guts. 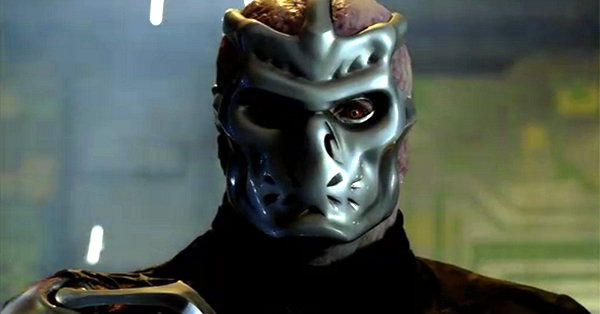 Jerkson Voorhees, the living-dead, wheezing essence of evil, is back for one fierce, final fling. Tracked down and blown to bits by a special FBI task force, everyone now assumes that he's finally dead...well.. More dead than before. But everyone assumes wrong. Jerkson has been reborn with the bone-chilling ability to assume the identity of anyone he touches and by wearing their skins. The terrifying truth is he could be anywhere. Or anybody. In this shocking, blood-soaked finale to Jerkso's carnage-ridden of terror and gore, the horrible secret of his unstoppable killing instinct is finally revealed and his walker side really comes out to play. Set way in the future, Earth is no longer inhabitable, so living survivors have colonized in outer space. One colony receives two cryogenically frozen bodies, and when they defrost them, one of the bodies turns out to be.....who else? Jerkson Voorhees. No longer in the forest or Camp Walker Lake, Jerkson stalks the colonists in a whole new environment so he can get the brains he needs to have..and devour.. It's been nearly ten years since Frieddy Krueller terrorized people in the dreams, and the towns folk want to keep him erased from their memory. Frieddy still has one more plan on getting back to Arm Street. 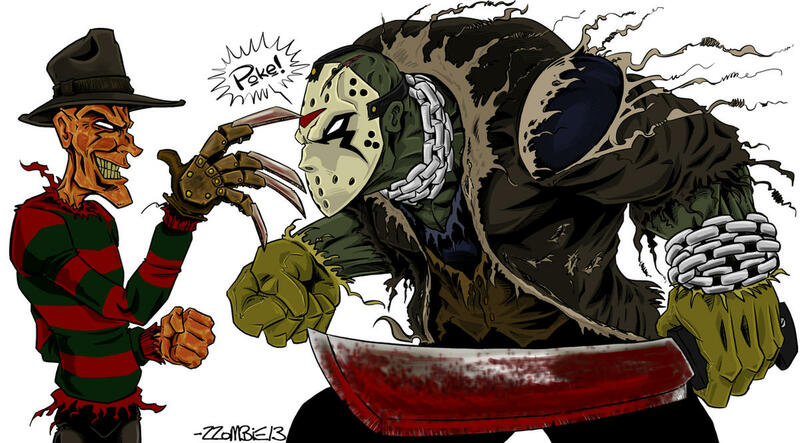 He resurrects Jerkson Voorhees and sends him off to kill. The more bodies which fall to the ground, the stronger in which Frieddy becomes. This is until, Frieddy realizes that Jerkson isn't going to step aside easily, and must be taken down himself. In an all out walker pit battle! 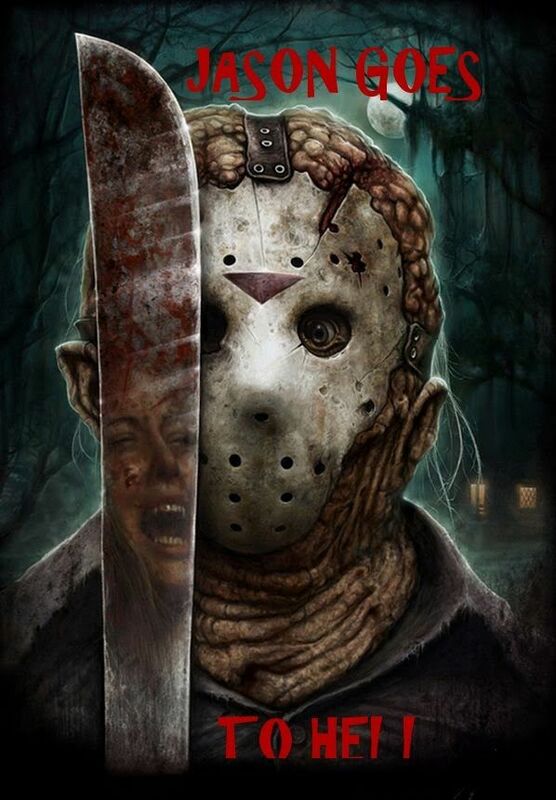 A young man sets out on a desperate quest to find his missing sister while a group of college survivors party in a secluded cabin little do they know that a masked walker killer known as Jerkson Vorhees is stalking the students to avenge his dead walker mother. Will they survive or will Jerkson get his revenge and an easy meal?